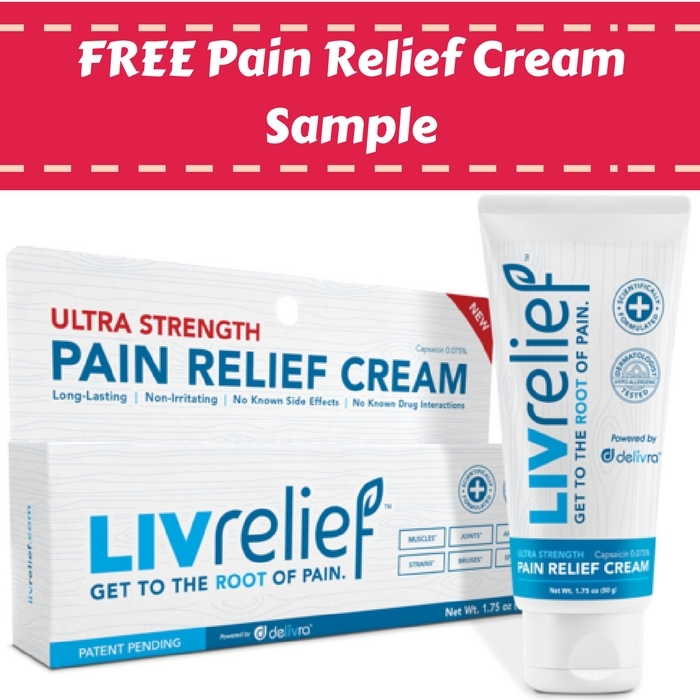 FREE LivRelief Pain Relief Cream Sample! You are here: Home / FREEbies / FREE LivRelief Pain Relief Cream Sample! I love FREE samples as it’s a great way to test out the item first before we buy them! So, here’s another one for you! Grab a FREE LivRelief Pain Relief Cream Sample by just simply filling out this short form! Please allow 10 weeks for delivery! Get your awesome FREEbie now!